By Danni Addison, Chief Executive Officer of the Urban Development Institute of Australia in Victoria. As head of the UDIA here in Victoria, a large part of my role is to promote excellence across the state’s urban development industry. So when I heard that a property developer illegally knocked down a beloved building in the middle of Carlton, and then dumped asbestos found on the site onto another property, I was utterly appalled. While the UDIA aims to celebrate the best of Victoria’s development industry, we feel the need to publicly condemn this behaviour. Firstly, neither a permit nor approval was granted before the demolition of this iconic pub. Secondly, the developer’s actions after the demolition clearly indicated they had no respect for safety regulations. Although the developer behind this fiasco is not a member of the UDIA, I feel compelled to say, ‘shame on you’. This brazen, disrespectful and unsafe conduct casts a grim shadow on the rest of the industry, which is completely wrong, unfair and misleading. Victoria’s urban development industry as a whole strives for excellence in design and development, which are highly recognised through UDIA’s Awards for Excellence program. Each year, UDIA receives copious amounts of entries showcasing many developers’ best projects. This year, we have received a record-breaking number of entries, and the high calibre submissions prove that Victoria’s industry has a deep respect for design, development, and proper conduct. UDIA members, especially those that take part in our Awards for Excellence program, abide by regulation and deliver high quality developments to serve current and future Victorian homeowners very well. For this reason, I must say that the illegal actions of the developer responsible for the Carlton pub wreckage in no way reflect the industry’s code of conduct or ethical standards. Our members are a much more realistic and accurate representation of Victoria’s property development industry, and it is important for the public to recognise this. 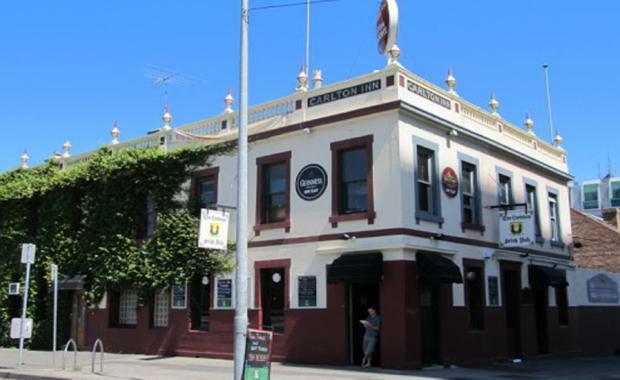 I agree with Lord Mayor Robert Doyle, Victorian Planning Minister Richard Wynne and Victorian Environmental Minister Lily D’Ambrosio in saying that the unlawful demolition of the 159-year- old Melbourne pub was unacceptable and demonstrated blatant disregard to the community. I concur with many when I say serious penalties should be served to the developer responsible, and I support the order of the Planning Minister and Melbourne City Council to rebuild with another heritage style building. I wholeheartedly understand and agree with the public’s outrage, and will again reiterate that this incident does not echo the actions or attitudes of the broader developer community. At the UDIA we are working hard to promote excellence right across Victoria’s property development industry, not just with our members but also with all professionals working in the sector. Through our Awards for Excellence program, we aim to establish an ethical and respectful culture that promotes quality developments and reflect the real nature of our industry. While we know that the overwhelming majority of developers apply a strict code of conduct that aligns with industry excellence, quality innovation and safety regulations, there are still some that do not. By calling out those that do wrong by the public and by the industry, we can eliminate the bad eggs. I hope this statement will help re-build the public’s perception of our industry, and provide assurance that the company responsible for knocking down the Corkman Irish Pub does not have our support.